The next edition of Mass of Ages is in the presses, and you can read online one of the articles: a conversation between a number of ladies attached to the Traditional Mass, online, here. 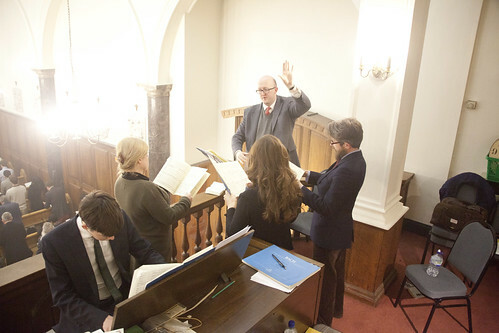 Regular readers of this blog may remember the bizarre attack on women who attend the Traditional Mass by Professor Tracey Rowland, to which I responded here and on Rorate Caeli. Rowland was talking about a sterotype which really exists only in her mind, but I think it worries a section of Catholic opinion that some women might sacrifice their social conformism, in a visible way, in terms of clothes, as part of their response to the Faith. This makes some people very uncomfortable. 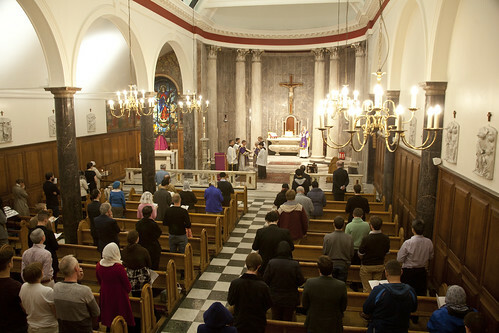 On Friday I attended the first of our planned series of Masses for persecuted Christians; it fell on the anniversary of the start of the Armenian genocide. 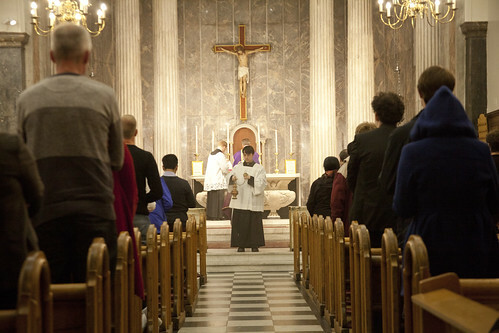 It was celebrated by Fr Armand de Malleray FSSP, with the assistance of Fr Patrick Hawyard and Fr Scott Anderson of the Ordinariate of Our Lady of Walsingham, for the London Juventutem group: it was one of their monthly masses, on the last Friday of the month in St Mary Moorfields, Eldon Street, in the City. These are my own photos; the full set is here. A member of the Juventutem group was taking photos which can be seen here, and their blog here. Today I am publishing a Position Paper for the FIUV on the Traditional Mass in Africa - subsaharan Africa. Go over to Rorate Caeli to read it. Here I am going to add a little extra commentary. 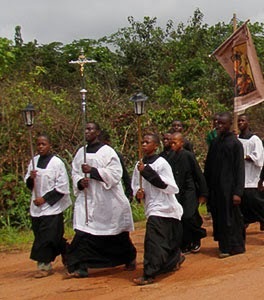 I am sure there will not be lacking people who will tell us earnestly that the Traditional Mass is not appropriate for conditions in Africa, because the Traditional Mass represents a form of religious culture - European religious culture - which is alien and incomprehensible to Africans, by contrast with the Novus Ordo. 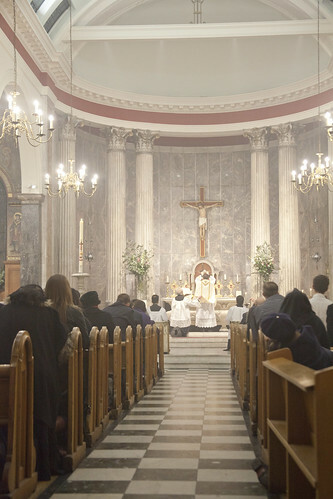 It is true that the Traditional Mass was formed in Europe, but the progressives don't seem to have noticed that the same is true of the Novus Ordo. The difference is that the Traditional Mass formed in Europe a long time ago. How does this difference cash out? Well, the late Antique and early Medieval Europe which produced the EF had a great respect for the supernatural; it had a great sensitivity to the reality of the sacred, of sin, and of evil - including of witchcraft; it was comfortable with ritual; and it was concerned with tradition, the ways of one's ancestors. 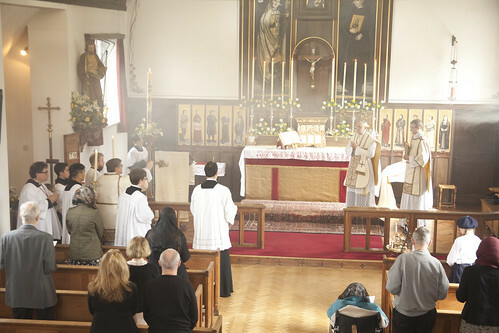 The Novus Ordo is a product of a culture which is uncomfortable with the supernatural, and with ritual; a culture which regards liberation from tradition, from the ways of one's ancestors, as the key to authenticity and freedom (whateve that means); which cannot bear to think about the reality of sin; and which regards evil, and witchcraft, as a joke. 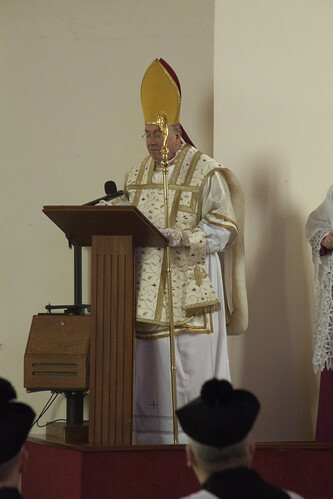 So, obviously, the Novus Ordo is bound to be more suited to the cultural conditions of Africa... right? Reposted. 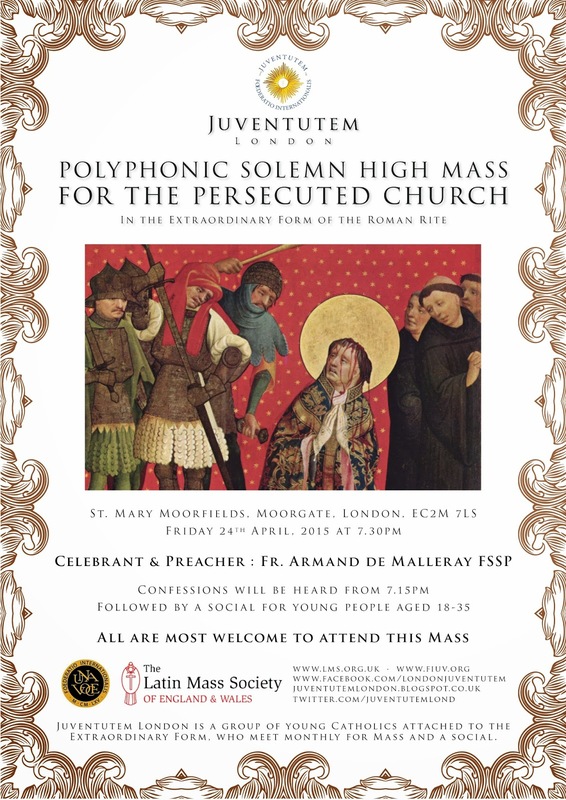 This also coincides with the 50th Anniversary of the Latin Mass Society's first public meeting. The following is an extract from an unpublished history of the Society's early years. 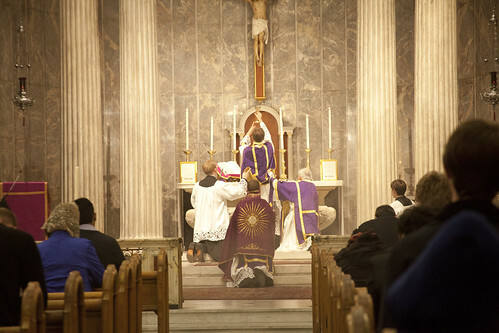 The society will exist to ensure the preservation of the Latin Low, and Sung Mass forms, in accordance with the provisions of the Constitution on Sacred Liturgy, relating to the Latin rite. 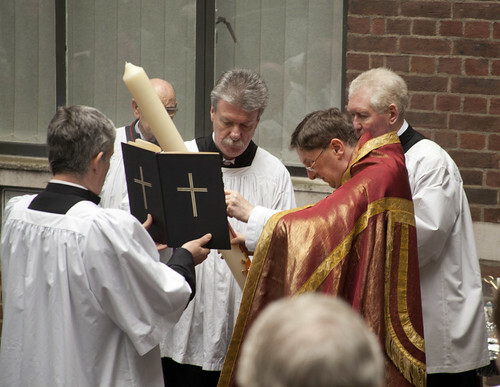 It is associated in its basic aim—that of preserving the Latin liturgy—with the Una Voce Society of Europe, and the Catholic Traditionalist movement of America, although the peripheral aims of the three societies are not necessarily identical. Many of the comments and questions showed an understandable but distressing bitterness and bewilderment: the less rational voiced a fear of schism and even a suspicion that some fifth column was conspiring to destroy the Church from within. 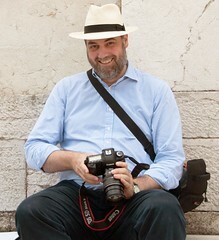 As any anthropologist could have predicted, the sudden compulsory abandonment of a sacred collective art-form, an ancient and accepted matrix of devotion, is bound to leave high, dry and desolate both those brought up to it and those who have discovered in it a living and continuing symbol of supernatural, supernational, changeless and eternal faith. An excellent young chairman ruled the storm, advocating charity and gently reiterating that the society was not another Pilgrimage of Grace. on the 100th Anniversary of the Armenian Genocide. I've been asked to pass this on. 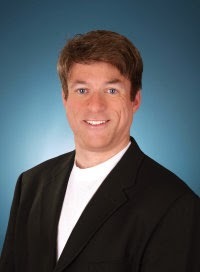 While I certainly don't agree with everything he says, Michael Voris is an important voice for traditionally-minded Catholics, and this event is FREE. It is at the Regent Hall, Oxford Street, in London, at 7pm on Friday 1st May. It is not the liturgy in itself which worries Francis, but the theological errors which underpin the purported 'reform of the reform'. This was made clear well before Francis' time when representatives of one fundamentalist organisation--Una Voce--were received by the Assistant Secretary of State, Archbishop Benelli, in October 1976. 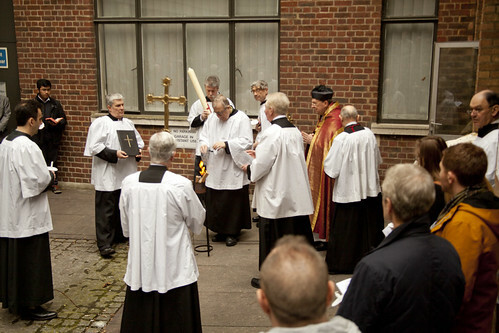 He told them that "those who wish to retain the old Mass have a different ecclesiology". In this column Loftus demonstrates his inability to distinguish the question of the 'reform of the reform' from the question of the continued use of the old, unreformed books: despite basing the article around remarks of Pope Francis which make the distinction very clearly. 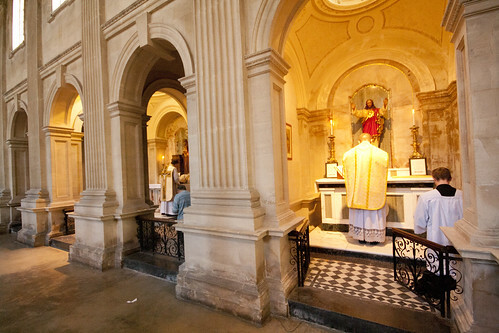 This Easter there was celebrated a High Mass in the Traditional form, in Oxford, for the first time since the 1960s. Mgr Loftus hasn't delighted his readers with his thoughts on the nature of the Resurrection since 2012 (8 July: ‘Christ was not physically present either during his appearances on earth after the Resurrection, or in the Eucharist.’), but this Easter he is back on his old form. The undoubted reality of the Presence of Christ’s Body, Blood, Soul and Divinity is not a physical presence, but a spiritual presence. 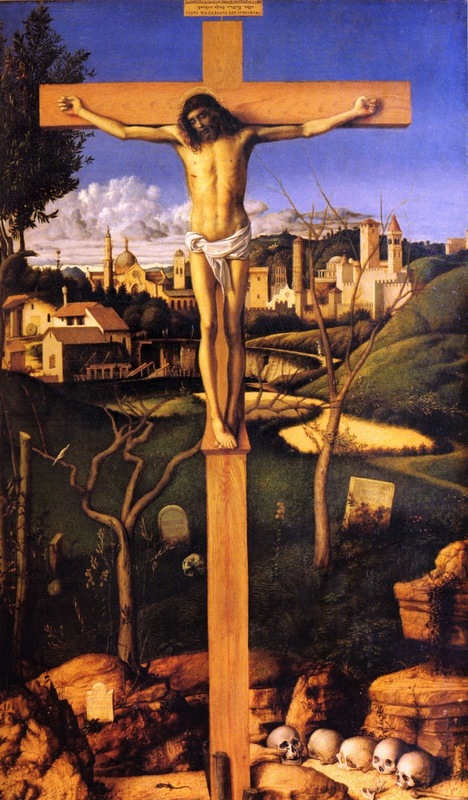 The equally undoubted resurrection of our bodies will not be a copy of Lazarus being raised from the dead. Our bodies will not be re-animated, or come back to life with their physical properties. Physical bodies require a place to be displayed, but Heaven is not a place. … We ourselves will be raised from the dead, it is our bodies that will rise, this is the continuity. But rather than speaking of a ‘spiritual body’ we need to think of the spiritual reality of our body, because we will then be animated not by our soul but by the spirit of the Risen Christ. The next Sung Mass at Holy Trinity, Hethe, is Low Sunday, Sunday 12th April. 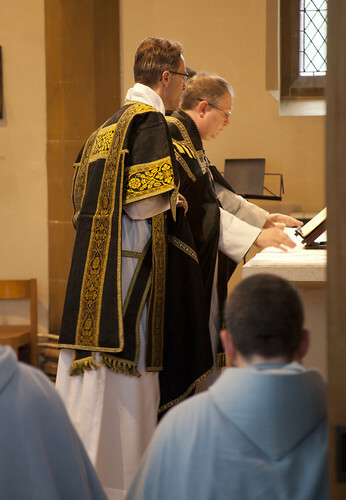 Here are some photos of the last one, the first High Mass we have had there with the new Parish Priest, Fr Paul Lester, and quite probably since the 1960s. 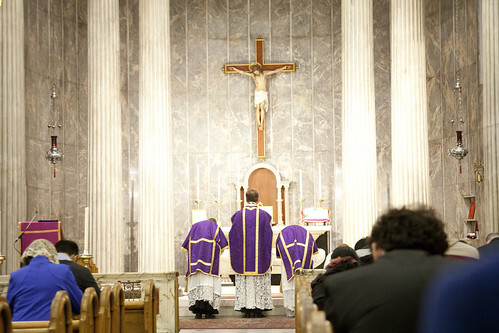 For the Third Sunday of Lent we had our first High Mass at Holy Trinity - the first, at any rate, with Fr Paul Lester. 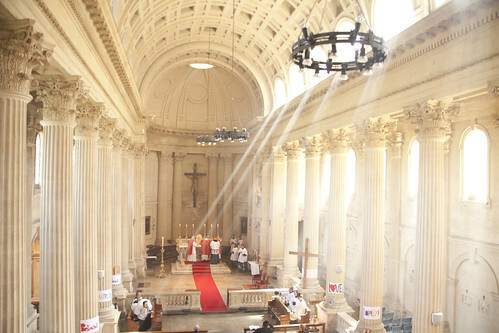 Though it is a small church there is plenty of room for the ceremonies in the sanctuary. In the old days churches were built with this in mind, even if it was not a frequent occurrence. 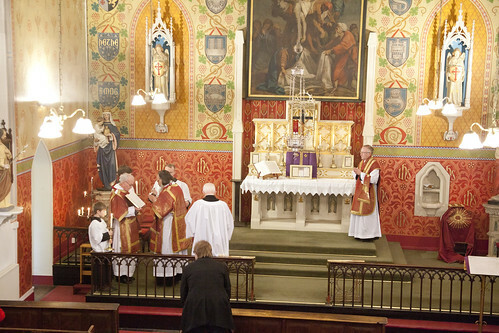 Some photos of the Solemn Afternoon liturgy in St William of York, celebrated by the Fraternity of St Peter. 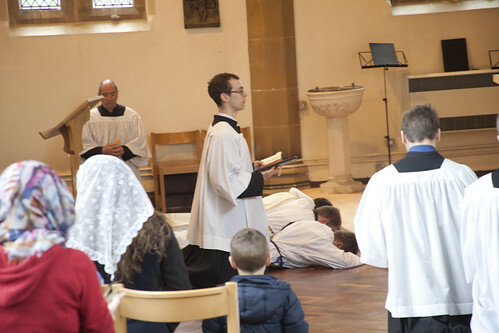 The celebrant was Fr Matthew Goddard FSSP.